A north Queensland fan of Pharrell Williams has questioned the lyrics of the American singer’s hit song “Happy” after losing the roof of his home to tropical cyclone Debbie. 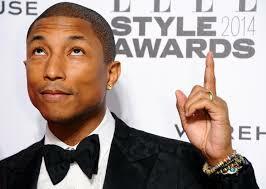 A spokesperson for Pharrell Williams said the singer sends his condolences to everyone caught up in the disaster and is willing to change the lyrics of the song to convey that happiness is more truthfully experienced in a room with a sturdy roof secured by cyclone proof screws. Donate to The Salvation Army’s recovery efforts by calling 13 SALVOS (13 72 58) or online at salvos.org.au. You can also make a donation at all Woolworths checkouts or any Westpac branch. Or simply Text “HELP” to 1999 2769 to donate $5 per sms.